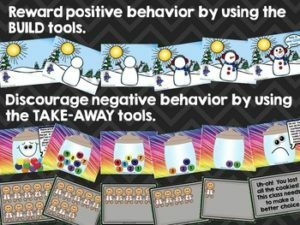 I am so excited to share my classroom management tools with you. These have changed the way I do reading groups. These work best with a remote clicker or you can take a wireless keyboard to your reading table. I put it on “slideshow” then go to my group. When the class is working on-task, I click to reveal a part of the picture. When they are off-task, I click the back button and they lose a piece of the picture. The kids are motivated to see the picture completed. There is a sound to notify the class that they have earned or lost a piece. These are SO easy to use and it really helps me focus on the kids at my table. You can find this and 60 other themes in my Classroom Management Life Savers set. Click here to check it out! Click here to read more about these management tools! I am passionate about making school as fun as possible. Follow my store to see what I come out with next!